This is Brad’s recipe for sweet garlic pickles. Slicing them lengthwise will make them perfect for sandwiches (e.g. smoked meat or ham with mustard). This recipe will yield about 2 litres of pickles. Layer ice, cucumber, garlic, and salt in a large vat or sink or soak cucumber, garlic, and salt in very cold water for 3 hours. Drain well. 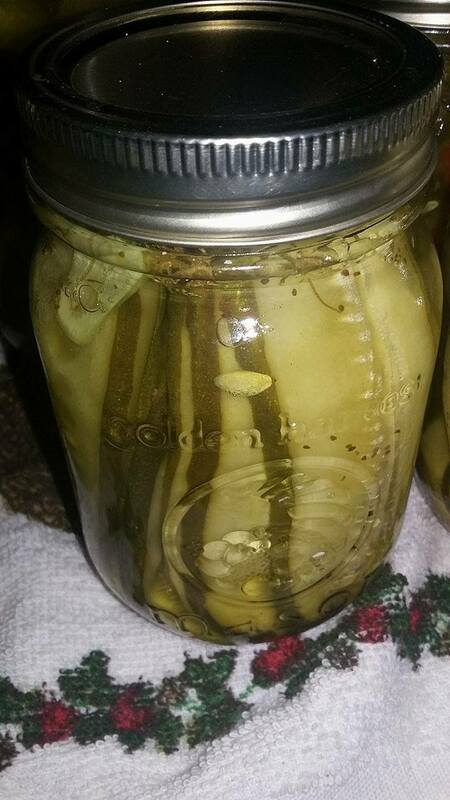 Place pickles standing up in jars. Bring remaining ingredients to a boil in a pot. Carefully pour hot liquid into each of the jars and seal.